I have the Adafruit Motor/Stepper/Servo Shield for Arduino v2 Kit - v2.3 and have stacked the Adafruit 16-Channel 12-bit PWM/Servo Shield - I2C interface on top (since you need the access the servo connectors on top!) On the Servo shield I have Address = 0x41 Offset = binary 00001 set (Each board in the chain must be assigned a unique address.) All set. 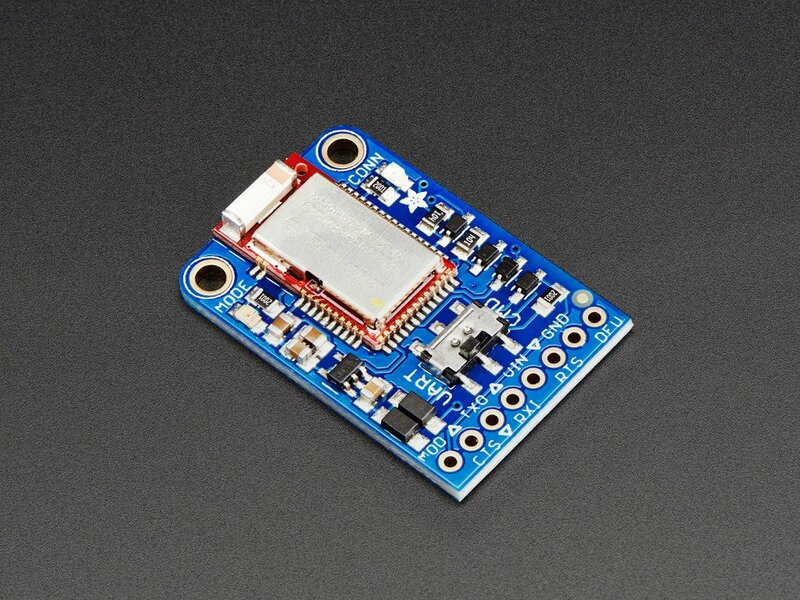 Now...I want to use the Bluetooth (Adafruit Bluefruit LE SPI Friend - Bluetooth Low Energy (BLE) )...well, I COULD put it on the motor shield, like the original tutorial. BUT...will it being sandwiched under the Servo Shield be a problem? OR...should I put it on the Servo Shield and just reference the different address? I wasn't sure how much interference would occur with the BLE being below another board? I'm really curious of there's a lot of interference if I sandwich the bluetooth transmitter below another shield. BT shield has pins for external antenna? If yes, it may solve all the problems. according to the datasheet, square white element at the top of the Board is the antenna. Thus it is possible to unsolder and replace with something else. Thus solving the problem. Have reason googling about log periodic antennas. I can' find any online calculator for this in native english, but here is translation from russian. Hope, it helps. Just use the KISS principle -- while it might work in difficult conditions, the best for an antenna is line of sight don't try to make it more complicated. I decided that Paul is trying to implement a project controllable camera for shooting. It was initially unknown what distance he needs. If all of this will be used inside the droid, you can not be afraid of interference , I think. it's too small distances to the original sandwich was on something to influence. No, actually my goal is for this blue tooth enabled controller to extend and retract R2-D2's periscope in and out of his head. LePaul wrote: No, actually my goal is for this blue tooth enabled controller to extend and retract R2-D2's periscope in and out of his head. Well, in this case, simply solder the Bluetooth module is not on the pins but on the cable length you need.